"Does the world need a new computer mouse?" asks Penclic. "Yes it does!" says the Swedish peripherals developer. Most devices in our lives have undergone extensive changes through the years, notes Penclic, save the unlucky, unglamorous computer mouse. The poor little guy is due not just for a facelift but a total makeover in the form of the new Penclic B3 Mouse, a faster, better and sleeker product. With this device, Penclic applies its formula of uniting cutting-edge technology with innovative, ergonomic Swedish design, resulting in a "new and amazing user experience". The Penclic Mouse looks, feels and moves like a pen, says the company, and is so responsive and intuitive that it nearly feels like the mouse predicts where the user intends to move the cursor. The device enables the extension of bodily movements and harnesses the natural power and dexterity in our fingers and hands, which promotes a healthy and natural working position. Endless clicking and unnecessary cursor movements are things of the past. 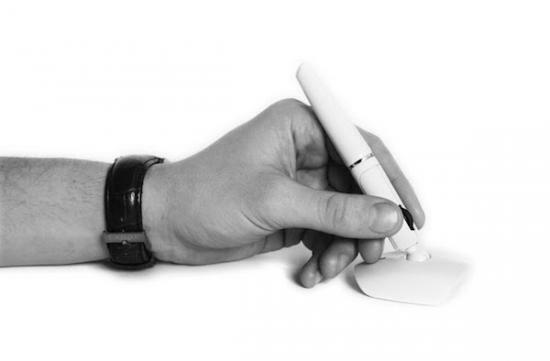 Penclic's innovative pen grip counteracts health problems like repetitive strain injury that often arise from using a traditional computer mouse. The Penclic B3 mouse is compatible with Linux, Mac OS and Windows systems that support HID 1.1.